Maria.B is one of the most famous designers of Pakistan. Every dress of her label depicts class and elegance. She knows how to make new trends by amalgam of traditional and stylish designs. 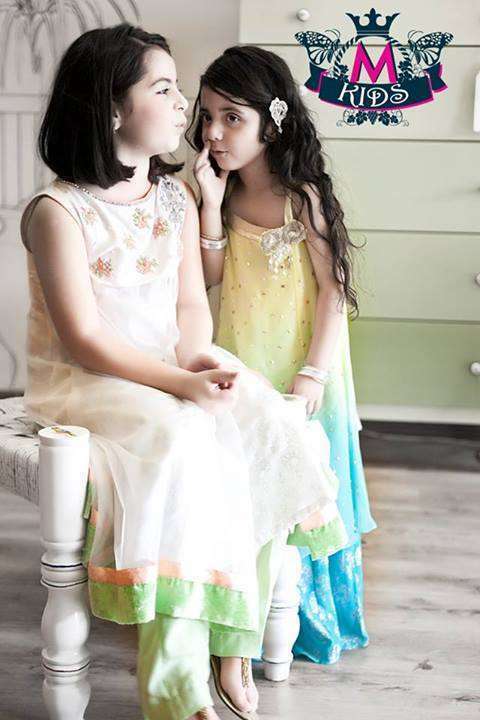 Recently Maria.B has launched her new Eid collection for kids and girls.The most interesting part of this collection is the embellishments on the dresses, They are pretty graceful unlike the stuffy dresses of most of the Eid collections. This collection is no doubt one of most fine collections of Maria.B. Maria.B Ready to Wear Eid Collection is stunning. She has emphasized on cuts and colors in this Eid Collection. All the cool and summery colors are available in this collection. This formal collection is a blend of chiffon, jamawar and net fabric embellished with flawless stone and thread work. The dresses look so pretty and stylish. This collection is offering jumpsuits, knee length shirts with palazzo and other formal traditional dresses. 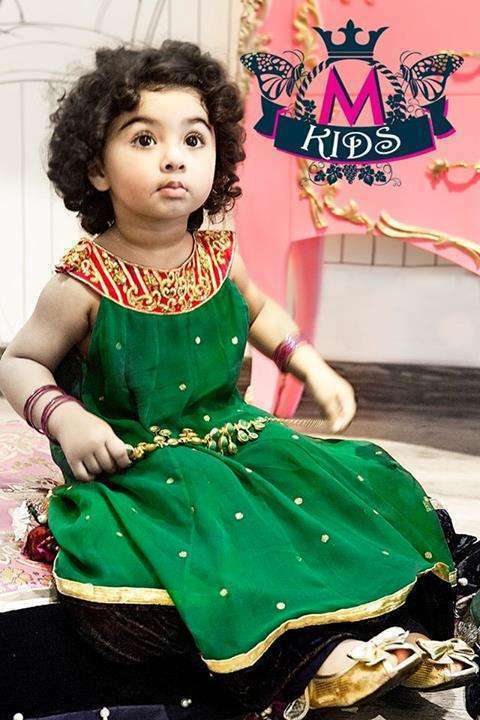 Maria.B is providing a full package this Eid because she is also launching kids Eid collection this summer. The kids collection offers all the traditional dresses for boys and girls. The M.Kids collection for boys is offering classic kurtas with thread work and self printed fabric. The girls collection is offering all the vibrant and pretty colors. The dresses are all formal with stunning embroidery and trendy cuts. Overall, the Maria.B’s Eid collection is simply breathtaking. All the dresses are made to brighten your Eid day. The women plus kids range is flawless, the embroidery and fabric of all the dresses is eleant yet stylish. If you are looking for classy and fun dresses for Eid and you are not into overdone embroided clothes then Maria.B is the right choice for you. All these dresses are available in all Maria.B outlets now. Make sure you get one you like before the whole collection is sold out. For more information visit the Official Website.